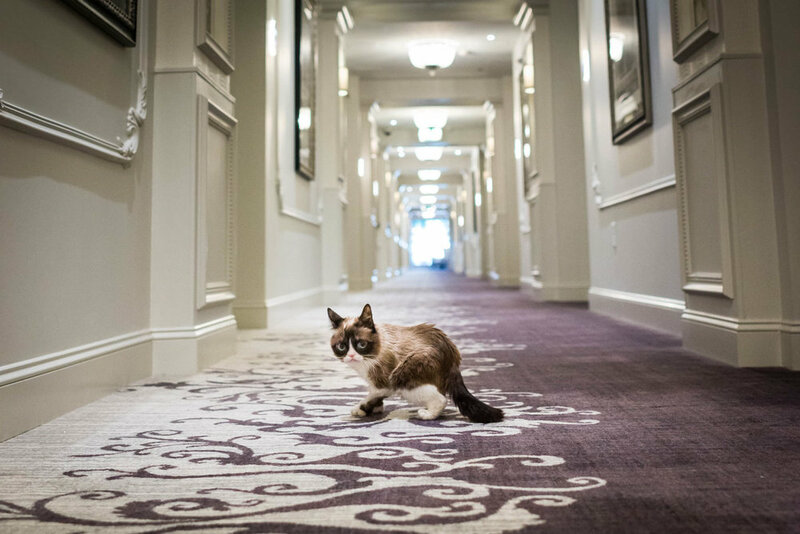 Grumpy Cat stayed at the city's most glamorous luxury boutique, The Ivey's Hotel. She hated it. And so, we helped her craft a purrfectly Ill-tempered travelogue to document each disgruntled step of her stay. for a luxurious 3 night stay. The staff was professional, friendly and eager to accommodate. All of these traits, I happen to hate. which I quickly put a stop to by inconveniently napping in the middle of the floor. Though I might look lost, I knew exactly how to find my room. I was just shedding some fur for the hotel staff to broom. The front desk sent me a lovely bouquet of flowers to smell. I had officially entered my own personal hell. Regarding these freshly baked cookies, it is true that I ate them. But that did not change the fact that I hate them. Next I took a tour of Sofia’s Lounge, a space where royal opulence meets a vintage touch of Parisian flair. 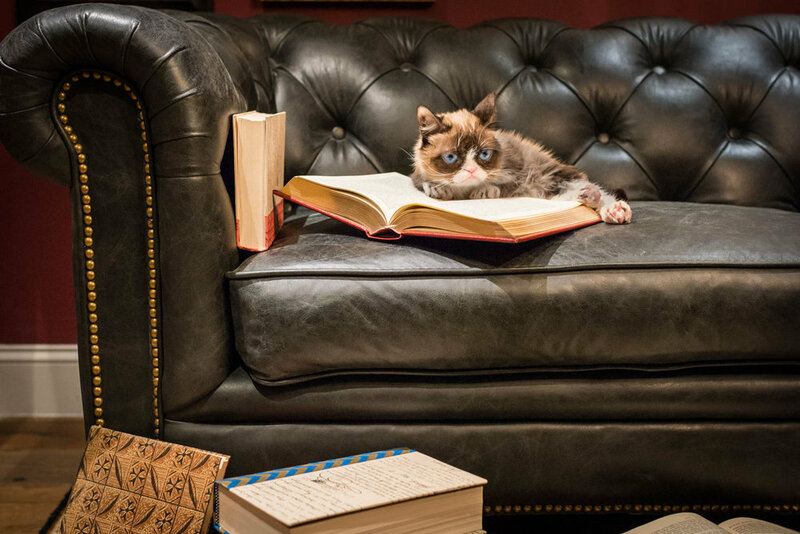 I retreated to the exclusive Library Lounge to curl up with a novel from the hotel's private collection of books. The perfect perch for giving other guests discouraging looks. I frowned by a map. I grew despondent on a chair. I made a grown man cry with just an off-putting stare. The woman who delivered my room service said she recognized me from memes. I advised her to promptly give up on her dreams. My stay was not entirely joyless. I did enjoy using this gigantic toilet. The fine Italian bedding was soft, cozy and not the slightest bit lumpy. 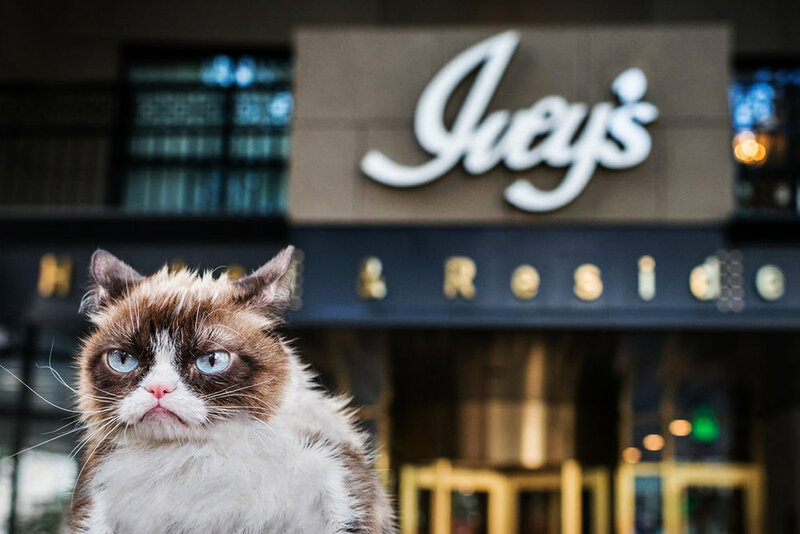 Even still, The Ivey’s Hotel is a pretty great place to be grumpy.